This story is from beauty expert and blogger Maritza Buelvas! Today Maritza is sharing a gorgeous holiday hair tutorial and a cozy cocktail recipe. Enjoy! Hello Lauren Conrad readers! My name is Maritza Buelvas, the hair and beauty expert behind Beauty For Bloggers. I’m so honored and delighted to share a Hot Toddy DIY hair tutorial and cocktail recipe today with all of you today…. 1. Start by curling small sections of hair all around your head. 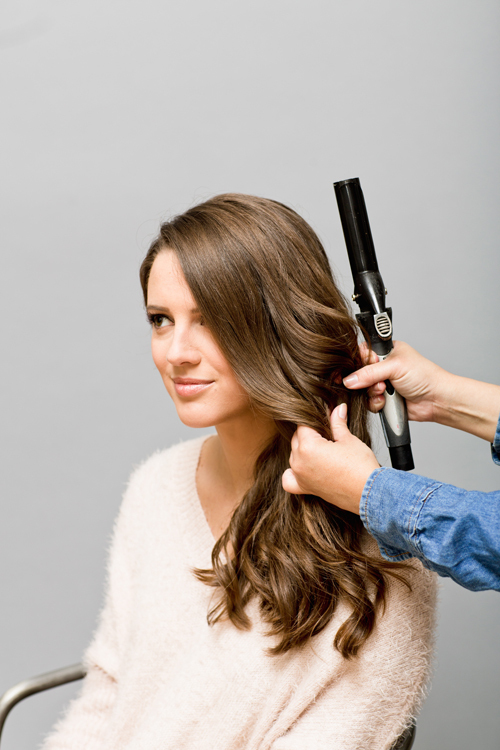 The key is to curl each section in a backwards motion, using a medium sized curling iron. I personally like a ceramic iron as it distributes heat evenly. 2. 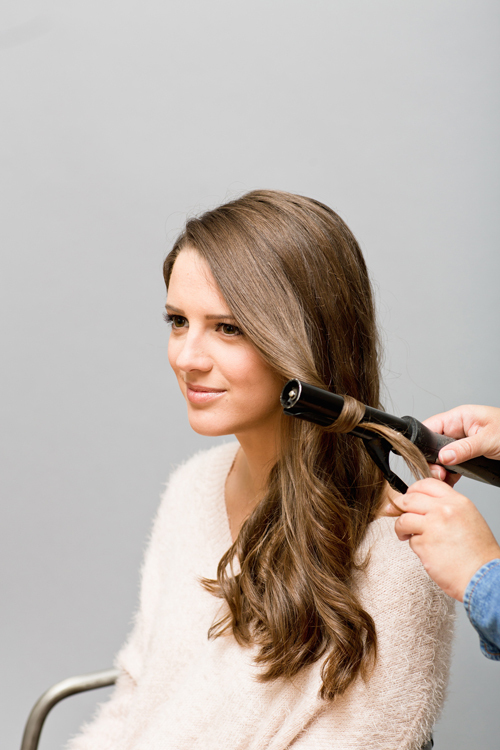 Take turns curling hair in one of two ways: Switch between leaving the ends of your hair out and curling them entirely with the hair clamp to create the perfect “cocktail” of curl and wave. 3. Once you’ve finished curling and bending all of your hair, ‘piggy back’ some wave onto your front top layers by just clamping the top-to-middle portion of your face framing pieces and turning the curling rod slightly backwards. This step is crucial if you have hair that falls flat easily or very heavy hair. 4. No need to brush out curls and waves—just tug and separate certain sections (in a backwards motion) and watch the magic unfold. You’ll notice how all the waves and curls seem to unify and frame your face in a flirty way. 5. Set with volume holding hairspray and you’re done! Now that you’ve mastered the perfect ‘do, toast to the season with this delicious cocktail, perfect for fall and the chilly months ahead. Shake in a cocktail shaker with a handful of ice cubes. Place either 1-2 ice cubes or giant cocktail cube in a glass. 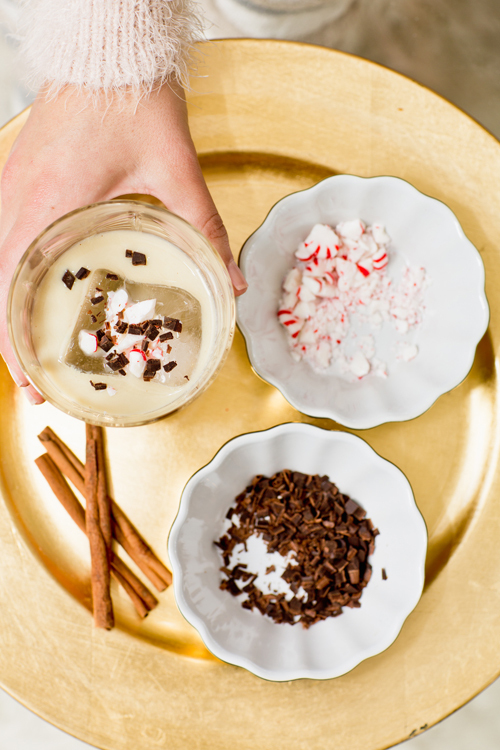 Garnish with shaved dark chocolate and crushed peppermint. Let us know how these DIYs turned out for you! What’s your go-to holiday hairdo? And what’s your favorite winter cocktail?